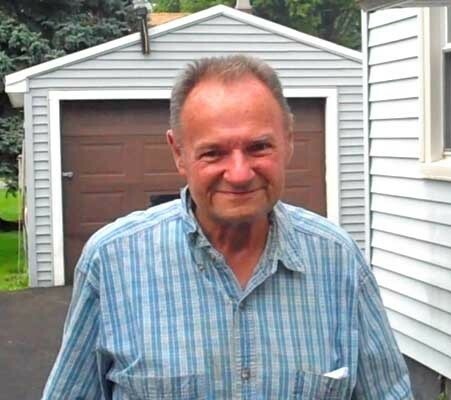 Obituary for Wayne F. Zimmer | D.L Calarco Funeral Home, Inc.
Wayne F. Zimmer, 83, formerly of Katherine Street, Watertown, died September 26, 2018 at Samaritan Keep Home. Mr. Zimmer was born April 28, 1935, in Evans Mills, son of Howard and Evaline Fisk Zimmer. He attended Evans Mills High School. He joined the United States Army from 1957 and was honorably discharged in 1960. Mr. Zimmer married Nancy Hutto, May 5, 1962, at Our Lady of the Sacred Heart Church. Mrs. Zimmer Died February 20, 2017. Mr. Zimmer was a paper maker at Saint Regis Paper Mill, which became Champion International, retiring at age 58, after thirty four years of service. He also owned several income properties that he enjoyed maintaining. Mr. Zimmer was a member and volunteered much time at the North Side Improvement League. He was a member of the New York State Retreads Motor Cycle Club and enjoyed traveling across the country with the Retreads, going to most of the fifty states. Mr. Zimmer was known as the watch dog of the Watertown City Council and went to most meeting and was not shy about sharing his opinion. Surviving is, a son Mark, Watertown, two daughters Jayne O’Hara Covington, TN and Joanne Hughes, Watertown, four grandchildren, Kenny Switzer, Alexis Hughes, Danielle Floyd and Mary McIntosh, nine great grandchildren. A son Joseph died as an infant, a brother Harold, two infant brothers, Keith and Gerald, A Sister Alice Gifford and an infant sister Patricia all died before him.